Wild animals tend to be shy, so most photographs of wild animals have been taken with telephoto lenses. I personally prefer to include some of the habitat in my wildlife images and to shoot with shorter lenses, but the problem obviously is that you need to get very close to your subject. 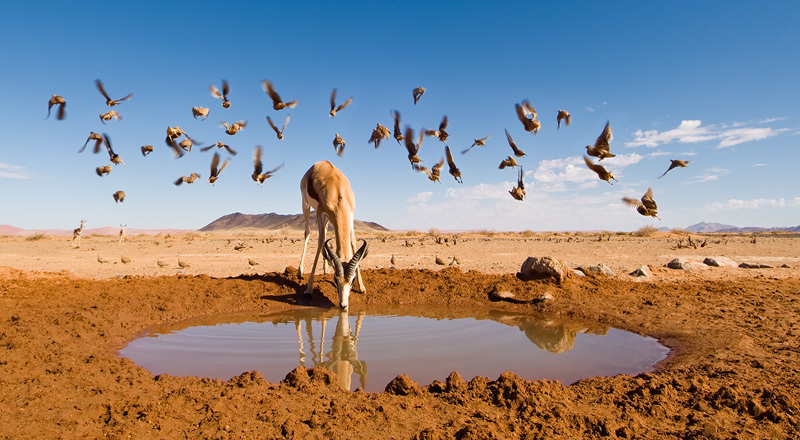 Here I worked with a remote controlled camera and waited in the distance for animals to come for a drink.